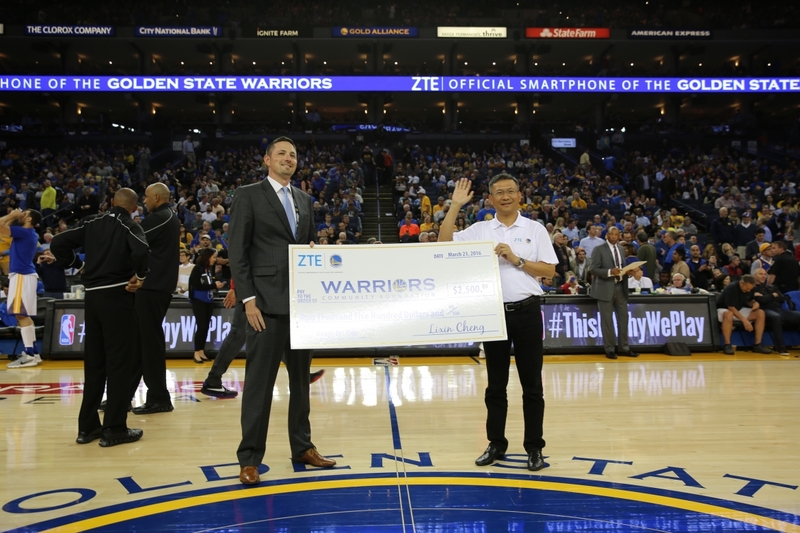 Oakland, Calif. – March 25, 2016 — ZTE USA, the fourth largest smartphone supplier in the U.S. and second largest in the no-contract market,* teamed up with the Golden State Warriors and asked Bay Area residents to donate used phones, tablets and other mobile devices in support of the Warriors Community Foundation. Lasting over 10 days, ZTE’s second annual phone drive resulted in active donations to benefit the Warriors Foundation’s Hoops for Kids, a program dedicated to helping Bay Area kids live, learn and play. From March 12 through March 23, Bay Area residents donated used mobile devices at participating carrier stores in support of the phone drive. Consumers who donated devices had the chance to meet Warriors Community Ambassador Adonal Foyle and receive a free Warriors poster. The phone drive culminated at the Warriors vs. Clippers game at Oracle Arena on March 23 where fans in attendance could donated used devices on the concourse and receive a Warriors poster as well.